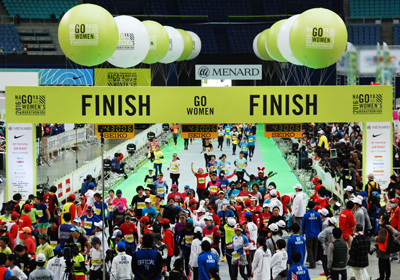 "Marathon Festival Nagoya - Aichi 2016" was held from 11th to 13th of March. Nippon Menard Cosmetic Company run the booth at Nagoya Dome during the period, and livened up this event as a gold sponsor. The number of visitor to the event was 125,000 exceeded that of previous year by 8,000 persons. A lot of customers and runner stopped by the MENARD booth and it was crowded during the period.